The WorldBeat Cultural Center located in Balboa Park in San Diego, California has roots in Reggae roots music! 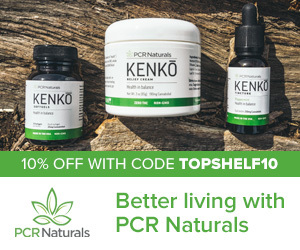 This organization has brought significant cultural awareness to the people of Southern California whom appreciate the art of classic Reggae music—that, of course, which pertains to the original music from Jamaica! The WorldBeat Center has enabled roots musicians to travel and afford tribute to past Reggae legends, such as Bob Marley, Gregory Isaacs, and most recently, William “Bunny Rugs” Clarke of the band Third World. 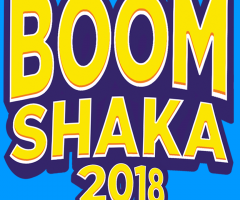 This annual tribute conducted by the same organization for the last 33 years held an honorable, all-ages Reggae festival which also included classic roots culture vendors, floor accessibility, and people coming from all walks of life! The festival also paid tribute to a Reggae Legends “Hall of Fame” which the WorldBeat Center initiated during the festival to honor such artists as Sister Nancy, Horace Andy, Sly & Robbie, Don Carlos, and Earl Zero. 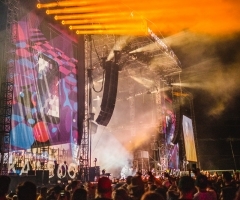 Indeed, with a lineup including such bands as Midnite, Don Carlos, Alborosie, and Third World, it was a festival to groove to the entire time; especially with the non-stop stage performances! The WorldBeat Center is known for bringing roots Reggae music to all parts of the Western U.S.A. and more recently in Baja California, Mexico with the Culture Beat Performing Arts Center located in Ensenada. The WorldBeat Center operates in a circular building surrounded by natural environment, and located near several museums within a popular park known as Balboa Park. There, the organization works to bring cultural awareness and events, including coordination of successful annual Earth Day Festivals inclusive with live music! 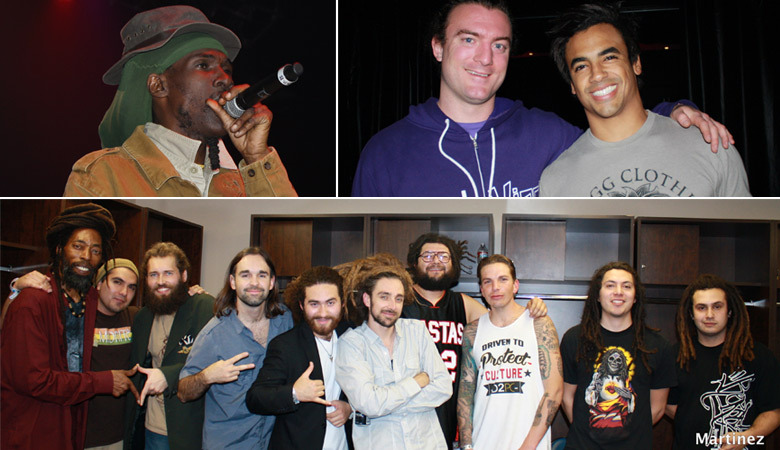 Indeed, San Diego is spoiled with roots Reggae culture and music! Being the Founder of the annual Tribute To The Reggae Legends, Makeda ‘Dread’ Cheatom has spent years working hard to bring awareness to Indigenous cultures, including their art, music, and dance! The foundation of a culture is often found in these visual arts and displays! Therefore, Cheatom’s annual Tribute To The Reggae Legends is honorary not only in the history of her organization of it, but also in her dedication to the culture and history of it too! This past tribute has been one of many, many amazing festivals for Reggae-music lovers from all areas and walks of life, and if you didn’t catch this year’s amazing performances, stay tuned to the WorldBeat Center, or their website for next year’s Tribute to the Reggae Legends! Top Shelf Reggae was able to catch Piracy, Jah 9, and Protoje, with the latter artist pumping their modern Reggae to an already considerable crowd! Protoje and The Indiggnation Band are from Jamaica and recently toured the Western part of the USA bringing their roots-rock-Reggae music to those who honor roots rock Reggae. Afterward, the stage began to turn and it brought out Tarrus Riley, son of Jimmy Riley, a Reggae singer from Jamaica. Tarrus brought a bit of R&B vocals to some modern Reggae music too, and the saxophone solos by Dean Fraser included in his set were divine to hear! His performance also appeared somewhat new to some roots fans, but many appeared to enjoy it given their applause. Bitty McLean and Horace Andy each played next, and both singers were backed by Sly & Robbie. These talented musicians (including those in the band) brought the roots in Roots Reggae, and the ever-growing crowd loved it! People were filling up the floor and surrounding seats! As Top Shelf Reggae browsed through this diverse crowd, we noticed people weren’t only dancing and gathering, but some were closing their eyes and taking in the music as if to honor some form of spirituality, as indeed, the roots and culture of Reggae music appear to illicit spiritual connections. Others were bouncing around the arena- either checking out the sitting area with food, or walking around the circle of interesting vendors located above the arena. Tribal Seeds of San Diego had wide support when the stage turned around to present this local, popular band, who were also equipped with horns this time! 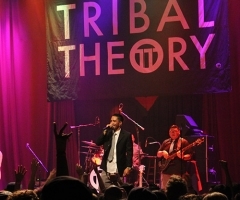 Tribal Seeds played covers of legendary music, such as “Hands Worth Revolution” by Steel Pulse, “Punky Reggae Party” and “Exodus” by Bob Marley, and “Abendigo” by the Abyssinians. 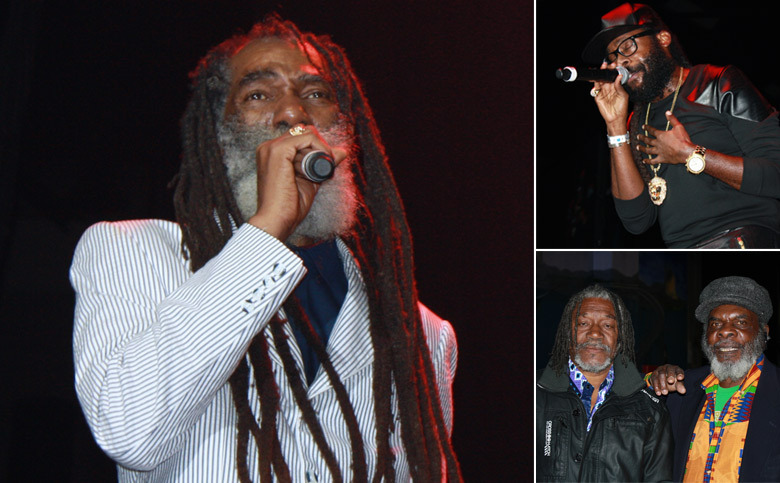 Included in their setlist was also their own song, “Vampire,” and after they played for a crowd who adored them, legendary Don Carlos came on stage and set the crowd on fire even more! 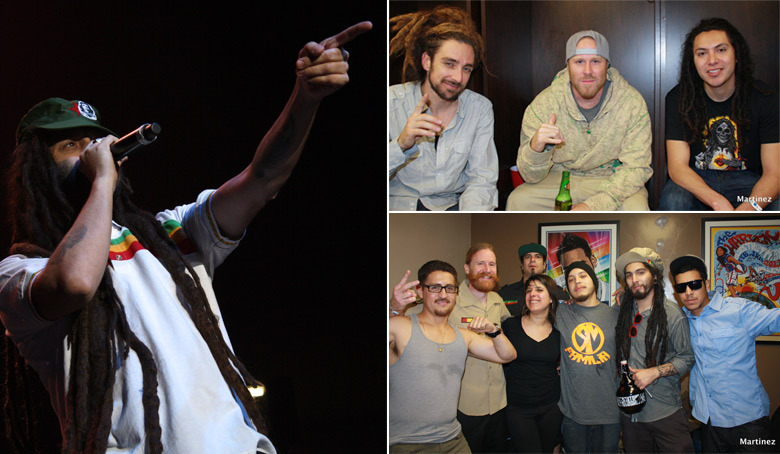 These roots Reggae fans began to roar for this epic, non-stop music show! Don Carlos played such classics as “Laser Beam” and “Just A Passing Glance” while even hot-stepping, and singing with fellow musician, Kyle McDonald of Slightly Stoopid! Third World came on-stage, and if the crowd thought they heard enough sweet reggae music, then they had no idea the festival was only half way done, and that Third World was going to wake them up! The band played so brilliantly and loud that if you did not recognize them, they made sure you heard them! Sure, Third World was probably playing in memory of their late lead singer, Bunny Rugs, so their performance outshined all others, but Third World made Top Shelf Reggae feel like there was only One World, and One Love! Their set list included such songs as “Reggae Ambassador,” “Try Jah Love,” and “96 Degrees in the Shade,” and ended with an orchestra-like play of a cello, and a cover of “Redemption Song” by Bob Marley. Dezarie is a roots singer from the Virgin Islands- specifically, St. Croix. Her performance at Tribute To The Reggae Legends appeared like a personal performance! Dezarie started her set harmonizing beautifully with vocals in an astounding yellow gown. Then, the band went into playing classic Reggae music with Dezarie singing like a Queen- only to end it the same way she started- harmonizing her vocals beautifully, as if telling a roots story! It was an elegant way of displaying roots Reggae from a so-called Empress singer, and it was quite a way to prepare the crowd for upcoming performances by Midnite, a well-known band also from St. Croix, and Alborosie from Italy. 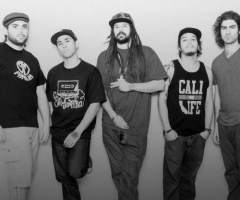 Midnite is known for their classic-sounding roots Reggae. Although their stage performance appears mellow, their music is transformative in the sense that it is hypnotic and unmatched in classic roots Reggae play- at least for this festival! Midnite hypnotized Top Shelf Reggae with the way the band backed Vaughn Benjamin with near-perfect instrumentals that was continuous throughout the entire set, and simply sounded classic! Any roots fan should have noticed how seemingly easy Midnite appeared to put down their music- which included such songs as “Love The Life You Live,” “Mongst I and I,” and “A Reminder,” but which considerably took talent to play. Alborosie performed next, and Top Shelf Reggae noticed a lot of classic Reggae fans had left right after Midnite, and perhaps those who had to work early on Tuesday, but they missed out because although Alborosie brought modern dub Reggae infused with roots music, he kept the Reggae vibe going directly after Midnite’s set! Indeed, those who stayed in the arena until the end of this non-stop music festival witnessed a Reggae trance so infused with culture and history, the festival brought a greater awareness of various cultures, classic-roots Reggae musicians, and honorary contributors whom help bring about these type of events- particularly, those which honor and celebrate roots Reggae music, and the culture of it! Though it happens each year, and has varied by location and line-up, this 33rd Annual Tribute to the Reggae Legends presented by the WorldBeat Center was phenomenal not only in how it honored Reggae music and its culture, but also in setting the bar toward the appreciation, dedication, and rightful respect which goes into maintaining such culture and art! Again, Top Shelf Reggae is honored to have been able to witness and record a tribute so infused with roots, there will seemingly be no other festival like it in Southern California!